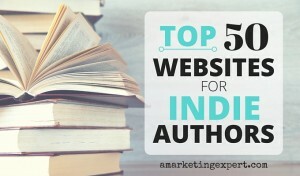 Here’s another edition of the indie author roundup. This week’s post focuses on marketing, including the importance of keywords and metadata. The weekend is a few hours away and isn’t that wonderful? I’ll spend time volunteering at a dog and horse rescue today and then spend my weekend hiking and cycling. I love spending time outdoors on weekends. Do you? Let me know what you like to do on weekends, other than reading and writing, of course. Note: Joel is absolutely right. Never hesitate to give your readers a surprise bonus, especially when you sell something to them. Spring has sprung, as the saying goes, the days are getting longer and pollen is in the air and affecting my allergies. Despite my sniffling, I read some wonderful posts this past week with tips on book marketing that you’ll want to check out. I end this week’s roundup with a post by Jon Loomer, the rising star among Facebook ninjas. When it comes to Facebook advertising, he knows what he’s talking about. I hope you enjoy these posts and have a lovely weekend. 89 Book Marketing Ideas That Will Change Your Life from Author Media: Growing Your Platform: Fresh out of ideas on how to help your writing take off? You’re in luck. We’ve compiled a list of 89 book marketing ideas that will change your life, build your brand, and sell your book. There’s something for everyone on the list. Best of all, the list is free. Completely free. Sound intriguing? Read on. 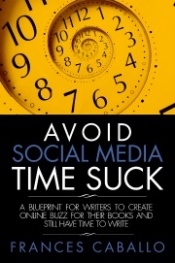 Marketing Ideas Used by Outstanding Authors from The eBook Author’s Corner: So the time is near. You have that next book on paper, it is being edited and proofread and you’re starting to get ready to launch that book to the top of the charts. You need to get all your ducks in a row to start marketing that novel to the world. How Creativity Can Help Boost Online Sales from Social Media Today: As digital marketing and advertising has changed throughout over time, function has slowly gobbled up form, one click, like, page view and web lead at a time. It’s 2014. And Don Draper ain’t walking through the doors of your boardroom with a storyboard anytime soon. My Amazon bestseller made me nothing from Salon: In one more week I was going to be a millionaire. At least, that was the rumor circulating around my wife’s family. One more week on Amazon’s best-seller list and I would have seven figures in the bank, easily. Her cousin had looked this fact up on the Internet, so it had to be true. Know Your Facebook Ad Rates: CPM and Cost Per Page Like by Placement from Jon Loomer: In this post, I’m going to explain why before presenting my own data to show you what I’m seeing regarding the evolution of CPM costs and Cost Per Page Like by placement, dating back to August of 2013.